I've tutored 100’s of students on Saxophone, Clarinet, Flute, Piano, Guitar, Bass, Percussion, Tuba, Trumpet and Voice just to name a few. I also give instruction in music theory, improvisation, arranging, composition, engraving, music notation, and general studio operations from recording to engineering. I give lessons online and privately. I hold a Music Performance Degree from the University of Miami, and have also studied at the University of Northern Iowa and Florida International University in classical music, arranging, composition, jazz band, marching, ear training, theory, history, and business. As a musician I have traveled to and performed in over 51 countries around the world, all the major cities in the US and many famous venues in New York City, London and Rome. I've appeared with such artists as: Grammy Award winner and Gospel Singer Mike Farris, Michael Brecker, Arturo Sondoval, Jerry Bergonzi, David Sanborn, Bob Mintzer, David Liebman, Joe Lovano, Jamey Aebersold, Bobby Shew, Poncho Sanchez, Duffy Jackson, American Idol's Kimberely Locke, Earth Wind and Fire, Lionel Richie, Clarence Clemets, William Shatner, to mention a few. Most importantly, I believe music and music lessons should be fun and motivating. I custom build lesson plans based on a students individual goals and experience and use most efficient and effective methods available to achieve the best possible results. It is important that all students understand and learn the fundamentals of music yet I’m very accommodating to each student’s individual needs and goals. The majority of my lessons are now being taught online. I will also do lessons at your home on special occasion and circumstance. Please inquire for details. Founder and owner of Cruise Line Productions, a Nashville based company providing the best in modern entertainment for cruise lines. Professional music instruction on woodwinds, brass, piano, guitar, bass, voice, music theory and arranging. Have taught students from ages 4 to 58. Worked professionally as a saxophonist, bassist, clarinetist, flutist in many ensembles ranging from a solo entertainer for large audiences to big bands, jazz combos, recording studio sessions, Rock n' Roll groups, cruise ship orchestras, symphonies, concert and marching bands, party bands and many more. Also worked as musical director and contractor for many ensembles, Broadway shows, and studio rehearsals and recordings. Live show highlights! Feature Bad Romance and other popular radio hits. 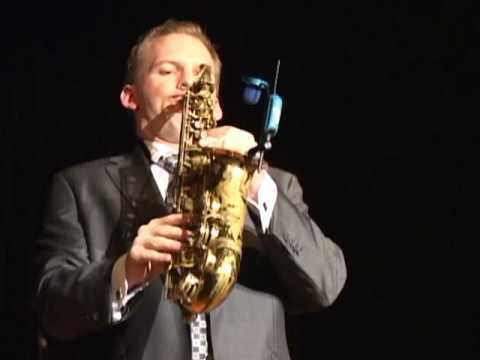 2nd Live show reel with classic saxophone audience favorites. At production studio working on album. I also like to SCUBA Dive. I get out and ride when I can. Dustin is a phenomenal teacher. He gets to know me first, finds out where i want to go and where my interests lie. Then he makes a gameplan to get me where i want to be and what I need to learn. This was a great first lesson on improvisation and i can't wait until my next lesson. Dustin is a Tremendous talent and he exudes patience and expertise. If there were 6 stars I would give them to Dustin !! It is easy to understand Dustin's instructions and the techniques and warm ups help a lot. Thank you! Great instructor. Haven't played in a very long time and he made it easy to get back into it. Really helped me out with a performance I had coming up. Dustin is a great teacher! I wasn't sure how it would be taking lessons online especially since I do not have a background in music and I'm learning the sax for the first time. He has made learning fun and easy. I can already play a song! He is very knowledgable and providing me with music theory as well. Highly recommend! Dustin is a great teacher. I have always had difficulty with ear training ever since I started formally studying music. Dustin did a great job of breaking it down and incorporating skills you already have. Highly recommended. Dustin was awesome, real helpful, encouraging & educational. I enjoyed it so much! Thanks! This is my second lesson with Dustin. 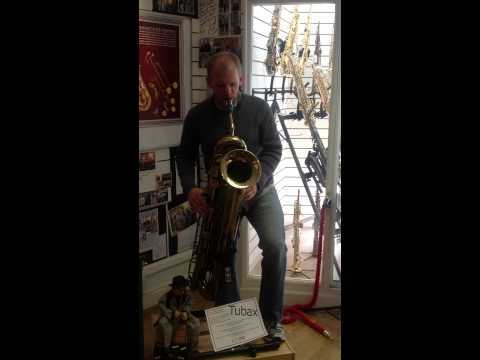 Dustin is a knowledgeable cool young man with a keen ear for for the saxophone tones. I've learned something at both lessons. I plan to continue to learn from Dustin. I would recommend Dustin to anyone who wants to learn how play the saxophone. J.C.
Don't let the saxophone fool you, Dustin is a top notch voice coach. He has been a professional musician his whole life so he has a deep rooted understanding of music theory. He seems to be a natural teacher too, who is dedicated to helping his students learn and grow. He was able to figure out where I was at quickly and start at my level. Highly recommended!! Dustin Rocks! I recommend Dustin 100% awesome teacher, always on time and never rushes the session. I am most happy to write a review for Dustin who I have found very professional, thorough, patient and fun to work with. His creativity to find ways to work with my learning methods, explain things so I can understand, and his wealth of knowledge and experience makes him a perfect teacher/coach/agent or a number of other skills in his portfolio. A high recommendation from this very satisfied customer. Thanks Dustin.